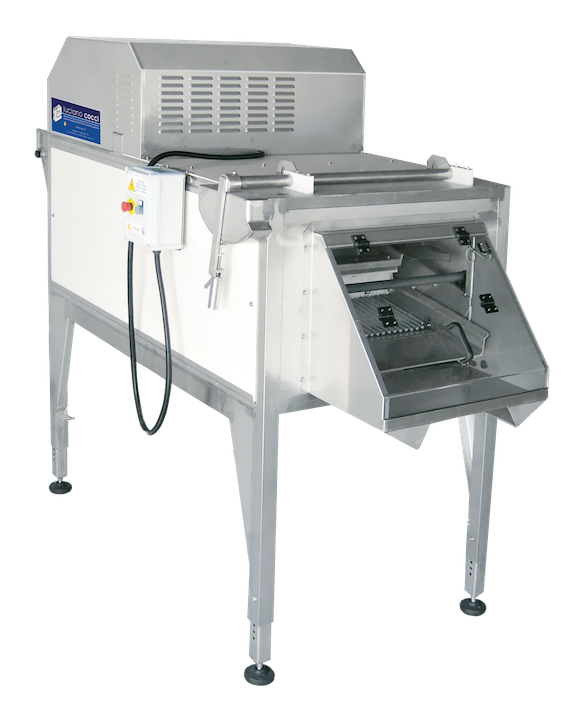 The roller brushing machine for mussels and oysters performs an excellent cleaning of the shell, also offering a mild declumping functionality. 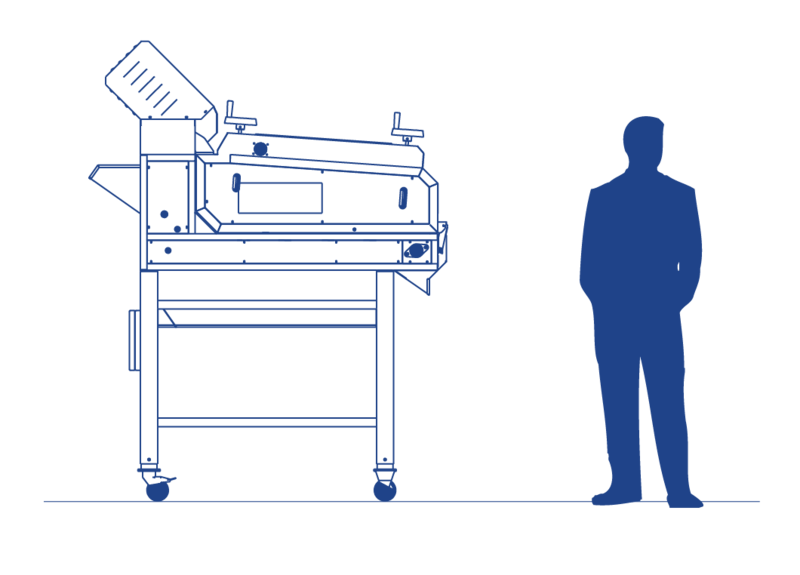 The machine is provided of 2 set of roller brushes (one on the top and one on the bottom) made of high resistance plastic material, that with a counter-rotatory movement and using a washing system allow to clean the outer shell of the product from sand, mud, algae, and most of the lightest incrustations. 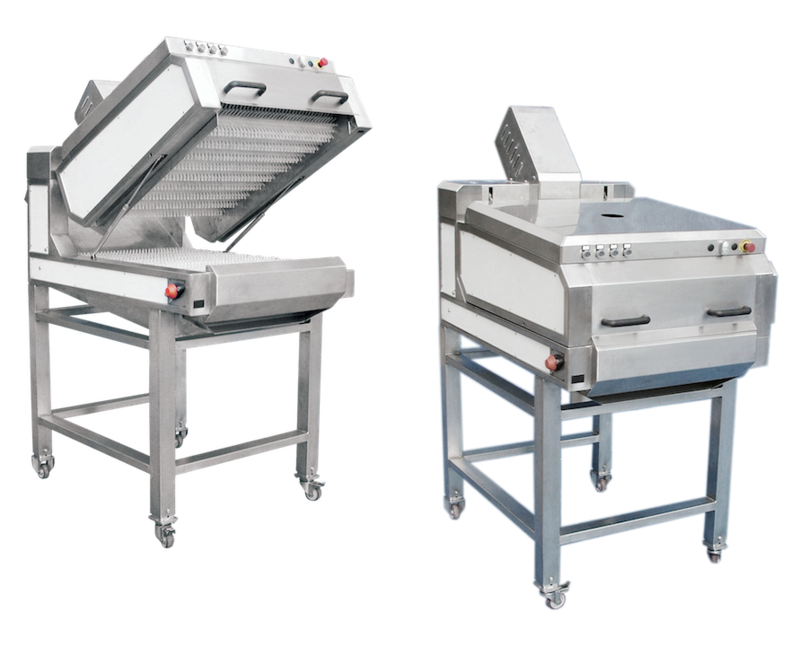 This kind of technology is therefore particularly suitable for mussels, oysters, clams and almost all big-sized shellfish in general. 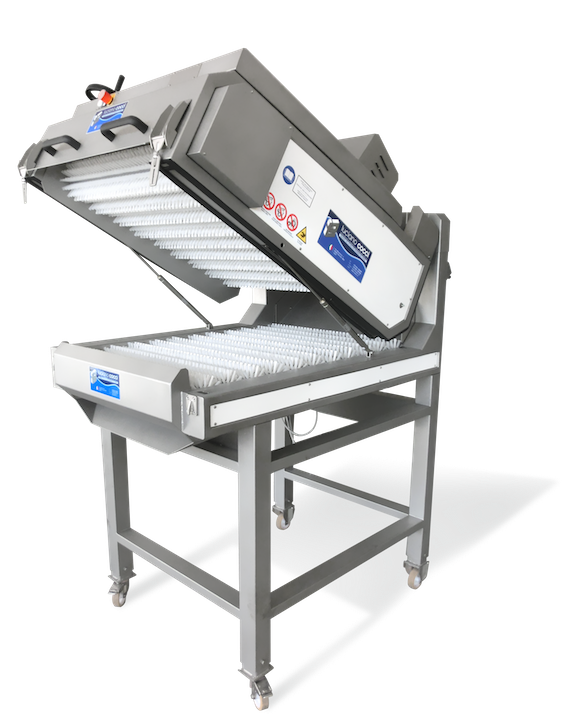 The force applied for the cleaning process can be adjusted by a simple mechanical system for setting the height of the top set of roller brushes. 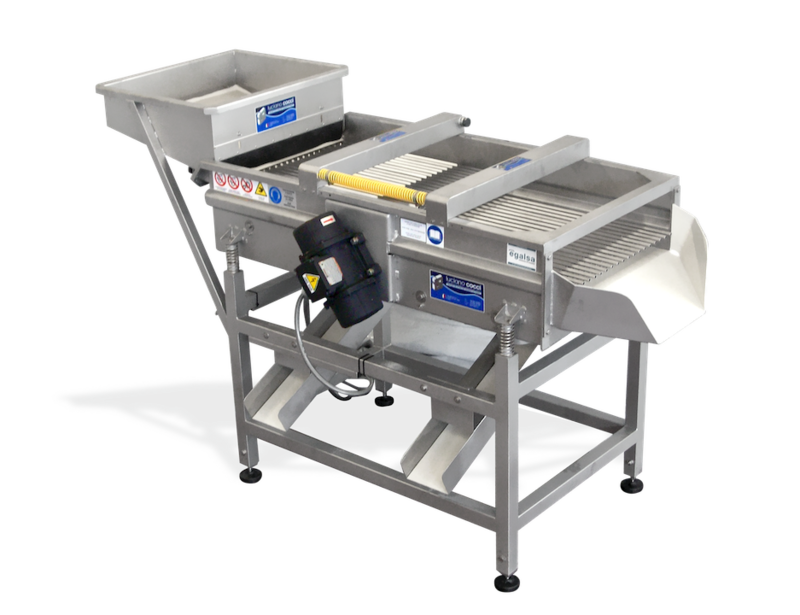 All the waste removed during the cleaning and washing processing stage is collected and conveyed to a hole at the bottom of the machine by a removable stainless steel funnel. Thanks to the possibility to open completely the brushing plane, the cleaning process of the internal parts of the machine is an easy and fast labour, assuring shorter maintenance time and costs. 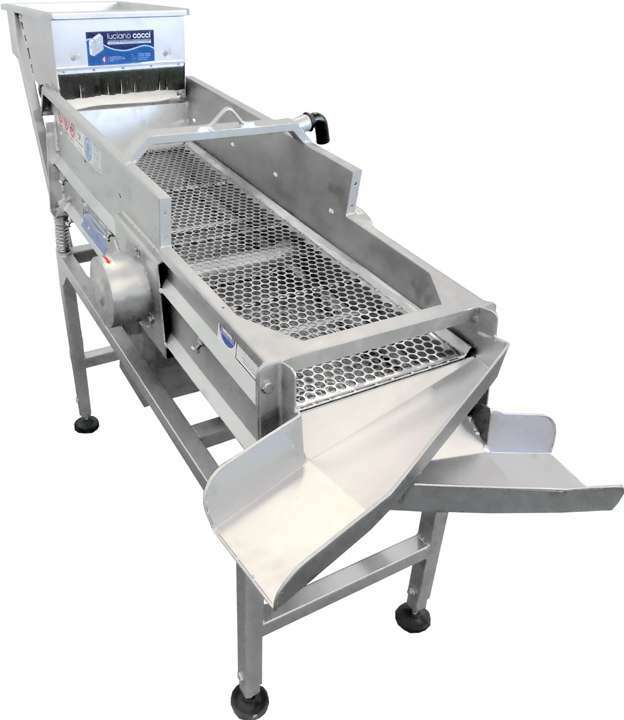 The peculiar type of processing that this model of brushing machine performs on the product also allows to declump and separate big chunks of mussels kept together by their byssus, as (for example) Galician mussels in bags normally tend to be.